In the south there is nothing better then an authentic Camo accent on your Ford, Dodge or Chevy truck. If your like many other american’s out there you are not familiar with what wrap vinyl is, but you know exactly what Mossy Oak and Real Tree are!! 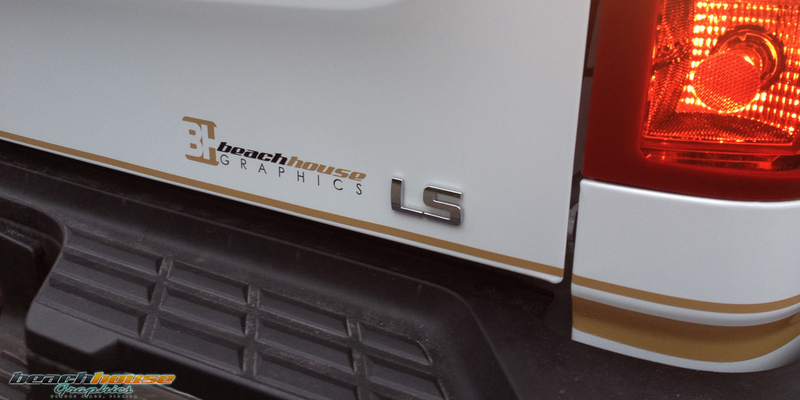 Well let Beach House Graphics help you get the desired Camouflage accent on your ride by ordering your favorite Camo print (Mossy Oak or Real Tree) and installing it professionally. 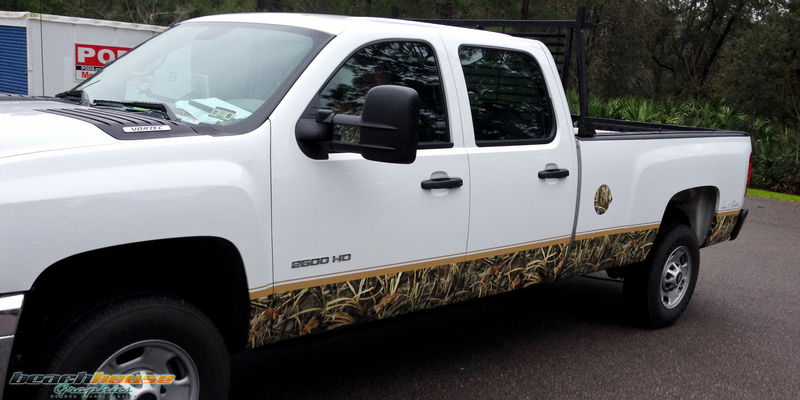 Our latest Chevy 2500 Camo accent was given a boost with a matching tan double stripe. The tan stripe brings a customization to the Real Tree Max-4 pattern.